VATICAN CITY – Pope Francis is celebrating Easter Mass this year facing a fresh round of bloodshed targeting Christians in Sri Lanka. 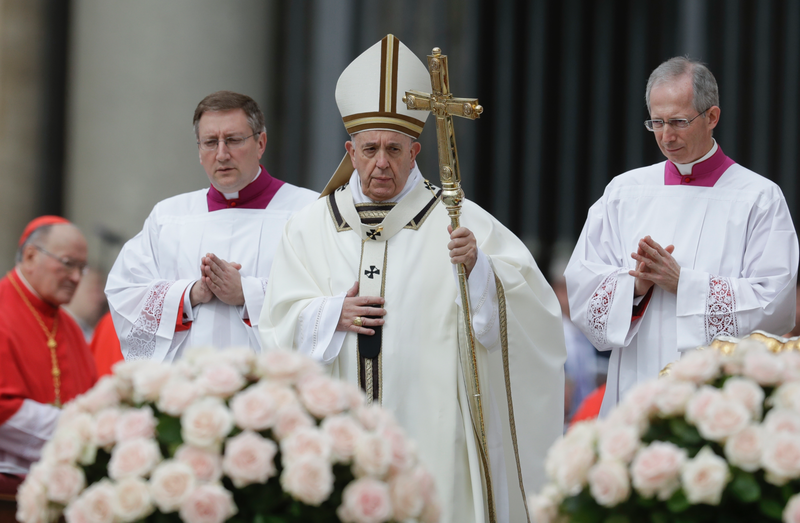 Hours after celebrating a late-night vigil, Francis processed into a flower-decked St. Peter’s Square for the liturgy Sunday commemorating the resurrection of Christ after his crucifixion. 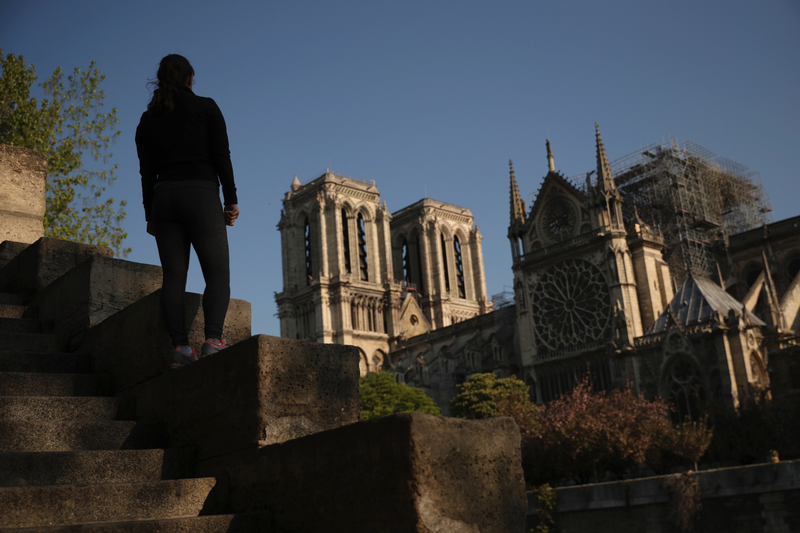 This year the Easter season has been marred both by the destruction of Paris’ Notre Dame Cathedral by fire last week and the massacre on Sunday in Sri Lanka. More than 130 people were killed and hundreds wounded following near-simultaneous blasts at three Sri Lankan churches during Easter Sunday services and three hotels frequented by foreigners. After Mass, Francis delivers his annual Easter “Urbi et Orbi” speech about conflicts and other difficulties around the world. WARSAW, Poland – The U.S. ambassador to Poland wished Jews a happy Passover in Polish, and the reaction has been a wave of angry comments on Twitter. Some came to Mosbacher’s defense, recalling that Poland also has a small Jewish population. Poland was home to Europe’s largest Jewish population before the Holocaust. Some came to Moschaber’s defense, recalling that Poland also has a small Jewish population. This weekend – during the 76th anniversary of the Warsaw Ghetto Uprising – Jews held a special Passover Seder with approximately 100 Jewish families from Israel, Europe, and the United States at the Warsaw Ghetto. Poland was home to Europe’s largest Jewish population before the 1939 occupation by Nazi Germany. The government has also been accused in the past of trying to rewrite history by banning any suggestion of Polish complicity in the Holocaust. 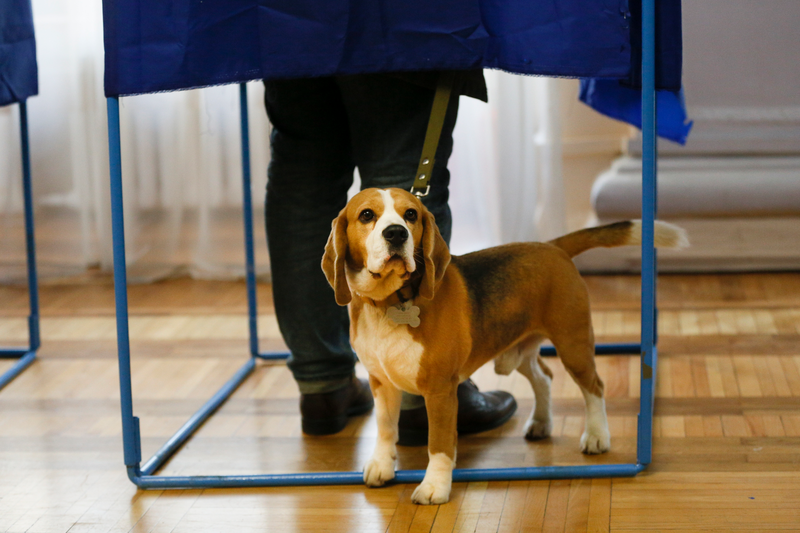 SKOPJE, North Macedonia – Polls opened early Sunday in North Macedonia for a presidential election seen as a key test for the government following the country’s changing its name to end a decades-old dispute with neighboring Greece over the use of the term “Macedonia”. 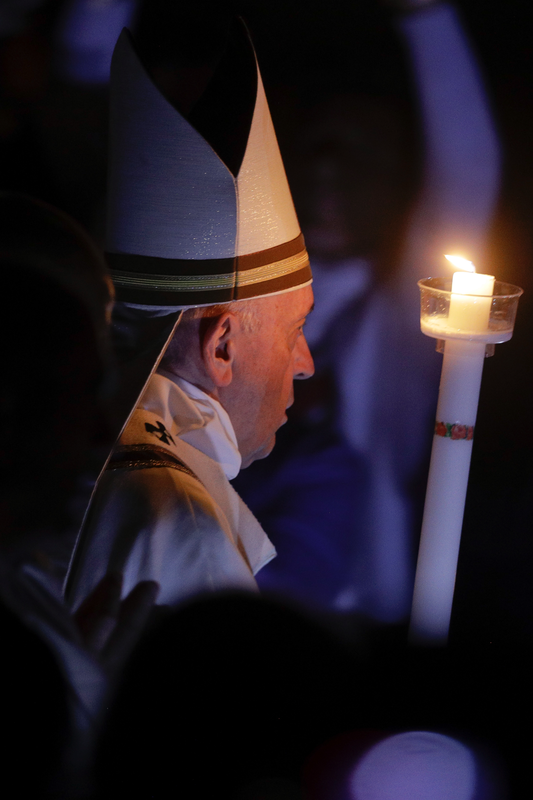 VATICAN CITY – Pope Francis has carried a lit candle up the main aisle of a darkened St. Peter’s Basilica in a dramatic Saturday Easter vigil ritual. The pontiff, prelates and other faithful also clutching candles appeared as slow-moving points of light in darkness, part of a procession symbolizing Christians’ belief that Jesus triumphed over death by resurrection following crucifixion. At the chant in Latin for “light of Christ, the basilica’s lights were suddenly switched on. Francis then reached the central altar to celebrate Easter Vigil Mass. Among those attending the service were eight people who prepared to be baptized by the pope. The Vatican said these new faithful are from Italy, Albania, Ecuador, Indonesia and Peru. On Sunday, Francis celebrates Easter Mass in St. Peter’s Square and gives a speech from the basilica balcony. 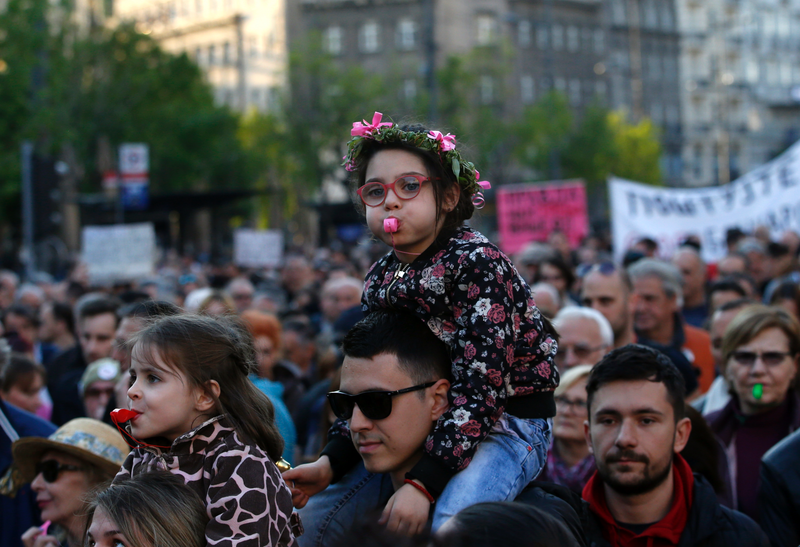 BELGRADE, Serbia – Several thousand people have turned up at an anti-government protest in Belgrade a day after Serbia’s populist President Aleksandar Vucic held a mass rally in an apparent bid to counter months of street demonstrations against him. Protesters marched through downtown Belgrade on Saturday demanding more democracy and media freedom in Serbia. Such marches have been held every Saturday since last December. A former extreme nationalist who now says he wants Serbia to join the European Union, Vucic has rejected opposition allegations that he has imposed an autocracy on Serbia. He told supporters at Friday’s rally that political differences should be solved at the ballot box. Tens of thousands of people from all over Serbia and some neighboring countries were bused to Belgrade for Vucic’s rally in a show of political strength. 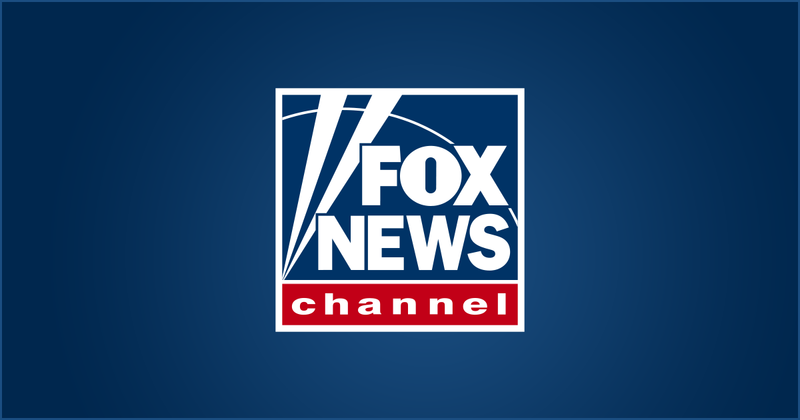 SOFIA, Bulgaria – Authorities in Bulgaria say a small private plane has crashed in a field in a southern region, killing the pilot and the lone passenger on board. Plovdiv police chief Atanas Ilkov said the two-seat Zodiac aircraft was on a demonstration tour when one of its wings separated in flight and it fell to the ground near a stadium in the village of Orizare. The accident occurred at 10:20 a.m. Saturday as a sports event was taking place at the stadium. The crash is the second of a small Bulgarian aircraft this month. On April 2, a small plane crashed into a mountain in neighboring Northern Macedonia, killing all four people on board.